We non-profit organization “Yum! Yam! SOUL SOUP KITCHEN” offer a local-area activating project through “Food” by developing original Thai food recipes with local fresh ingredients from all over Japan's 47 prefectures, and showing how to take advantages of them. Our new international cultural exchange programs based on food events will promote Thai-Japan's local interactions and create new markets. The food producers' movement into our project is now expanding throughout the nation; stimulate local food market by original Thai food recipes using regional fresh ingredients and develop overseas market around Asia area focused on Thailand. 13.Other events will be reported as they are planned. 1.You can join our movement creation that connect Thailand and Japan through food – original Thai menu recipes with Japan 47 prefectures' local fresh ingreients. 2.Exchange information with members who are interested in Thailand and Thai food. 3.Exchange information with members who are interested in Japan's local areas and their fresh food. 4.Exchange information with members who are in charge of produce & business related to Thai and Japanese food. 11.Offer promotional chances for members' products at EC site. 12.Offer promotional chances for members' original products at event sites. 13.Offer consultation on investments related to Thailand, and CSR strategies. - Regular membership a person, a producer, or an organization who agree the purpose of our activities and promote the business. - Support menbership a person, a producer, or an organization who agree the purpose of our activities and support the business. - Yum! Yam! Ambassador is a organization related to personal / group local food activities and registered by each company / organization. The terms of condition is to agree the purpose of Yum! Yam! SOUL SOUP KITCHEN's activities and to understand how to cook Thai food and the difference of tastes by regions. Those who have wide knowledge and networks for regional food, and are able to report their activities and future plans, are suitable for it. This organization, as for all people, aims to promote revitalization activities of local communities and international cultural exchanges through the Thai Food "local Japan (47 prefectures) × local Thailand (77 provinces)." We've planned 47 continuous events, “ Yum! Yam! SOUL SOUP KITCHEN” for the first time in Japan (in the world? 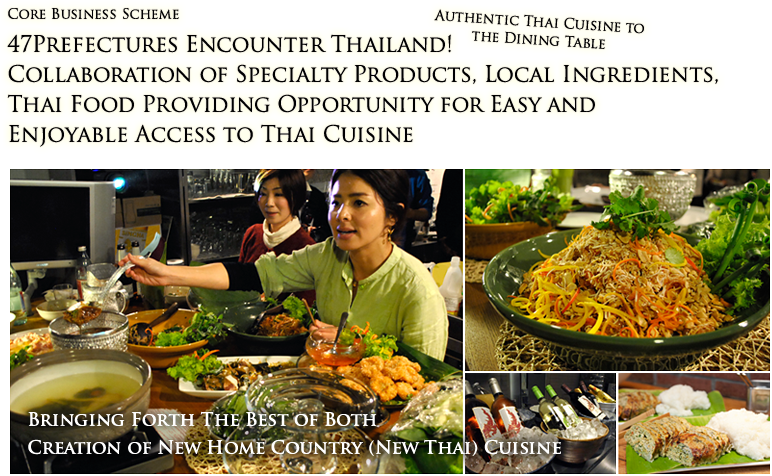 ), which offer original Thai recipes using local fresh ingredients from Japan's 47 prefectures. 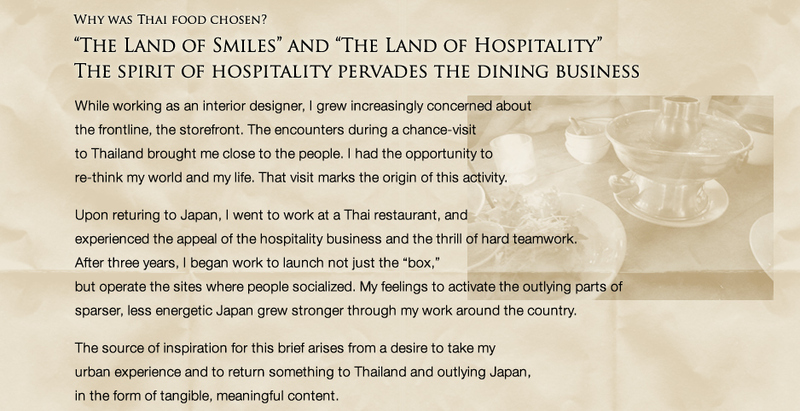 In addition, spreading Thai food in Japan more and creating the way to take advantage of local products by developing original Thai menus will lead the stimulation of Thai & Japan's interactions through food, and we believe that we can make undeveloped markets visible in the future. We would like to provide an oppoturnity to think and raise awareness on food, wishing every participant's happiness with delicious dishes and healthy living through these Asian food exhanges. Rather than the perspectives of enthusiasts of Thai food, we create wider connection between two nations that matched this generation, appreciate the relationship having the same rice oriented culture, and develop together through food.